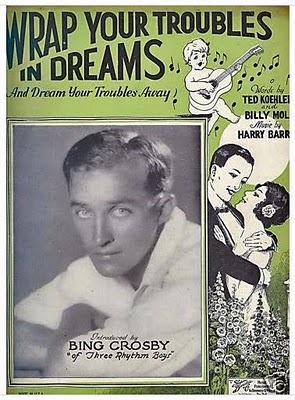 “Wrap Your Troubles in Dreams” is one of the classic Depression-era songs that hoped to help people forget their troubles and dream of better days. Bing Crosby made the first recording in 1931 with the Gus Arnheim Orchestra. What price happiness? What price happiness? Weren’t you king for a day? “Wrap Your Troubles in Dreams” was recorded on September 29, 1964 and released in 1964 on the album Who Can I Turn To. It was arranged by George Siravo.